As tempting as it is to just say Soothing Dental is the best dental office in San Francisco, it’s a fact that people define “best” differently. An office that might be the best for someone, might be just “meh” for somebody else. In this post, I’ll try to put this question in perspective and hash through some of the factors that many patients consider for choosing their dentist. You can pick and choose the categories that are important for you and based on that make an informed decision about selecting your dental office. Quality of clinical service: This is usually the most common criteria. People want the highest quality. Having said that, this is a factor that also depends on many other factors. Education and experience of the dentist: Great dentists come from every school. They also have been doing dental work for years. However, this becomes tricky from time to time. A dentist that might be good in doing a certain procedure, may not be as good in doing another one. It’s more likely that offices that have multiple dentists, hire dentists that can cover a wide range of services. It’s not likely that a single dentist is excellent in everything. Using modern technology in clinical dentistry: Dentistry changes everyday. New tools and techniques are being introduced everyday that can be used to do certain procedures better, faster and with little/no discomfort. An office that uses the latest tech is more likely to be “soothing”. Great office staff: Going to an office with rude and unhelpful staff is not something to look forward to. At the end of the day, people want to be treated with respect by friendly people who genuinely want to help. The environment: As much as I love going to a “hole in the wall” for my food (specially in San Francisco), going to a dental-office-equivalent of it is not a great idea. A tight and dark office with bad lighting is not going to help the patients calm down before their appointment. Having said that, it’s not easy to find an office with a great space in San Francisco, given the high price of real estate. Before/after appointment patient experience: Offices that provide meaningful information on their website, make it easy to make appointments, give you tools to manage your health online and make their dentists available to you 24/7 for emergencies tend to be more popular than the ones with a 90’s website, a phone line and many hoops to jump through to talk to the dentist. It’s important to focus on the patient-dentist relationship and remove the barriers that make this relationship challenging. Handling insurance: An office that wants you to pay and then gives you the paperwork to go after your insurance is not providing a great service. Unfortunately, due to not having enough staff, many offices assign this work to their patients which is not a great experience. The insurance company will ask you to provide documentation, follow up and be on phone for hours at a time. Also, they are more likely to accept a claim that was sent by trained people than they are to accept claims sent by patients. So, make sure that the office that you are going to is handling all the insurance work and is not asking you to do their job. In-office experience: Have you tried to awkwardly talk to your dentist when she/he is working on you because she/he is just trying to make small talks? Yes. That’s what they used to teach in dental school back in the old days. This is how dentists are supposed to “connect” with their patients (mostly because there was no other way). Having said that allowing patients to do whatever they like is significantly more interesting to patients. If they want to talk, they should be able to, if they want to listen to music, that’s fine too. Nowadays, patients can actually watch movies on wearable glasses, have their noise canceling headphones on and experience no pain under Nitrous Oxide if they’d like. Honestly, I have had patients that didn’t want to leave when the work was done because they wanted to finish the movie that they were watching! Price: It’s important to find a dental office that maximizes the value for the price that you are willing to pay. You can pick the office that you want (based on the above criteria) and call them about the costs. Offices that offer very low prices have to make some sacrifices to be able to stay profitable. It’s not always true that a more expensive office is better but it’s usually the case that the office that tends to compete on price cannot compete on quality. So, be careful if you see an ad that is advertising low prices as the main reason to go to an office. Obtaining information on where each office stands for the above criteria is not always easy. You can visit the office, read online reviews on Yelp and Google+, check their website and call them to obtain more information and make an informed decision. As always, we will be happy to show you around our office, and provide more information if you are interested in our services in Soothing Dental. Just check out our website, make an appointment or give us a call at (415) 989-3953. My family and I are in the process of looking for a new dentist and this gives us a great guide to follow. I especially like the idea you give of looking for a dentist that will offer you the best in-office experience. 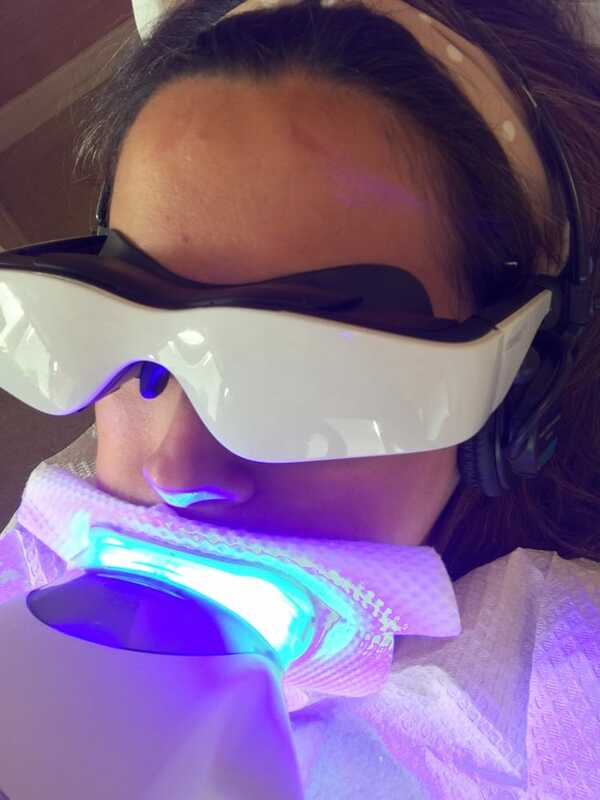 Like you pointed out, if you don’t feel comfortable just talking to them and being in their office, you probably won’t feel comfortable with them working on your teeth. I will be sure to keep these things in mind! Thank you a lot for your effort in developing this informative post. I just moved and need to find a dentist near to me. Thanks for the advice about how you can have a good in office experience by finding a dentist that listens to your social cues. Hopefully, I can find a dentist that will take my insurance and that is willing to stay up to date on new technology. I am happy to have found this information about how to find the best dentist. It is good ot know that one should look at the quality of the office staff. It would be best to talk with a friendly receptionist. Something else to consider would be to select a local dentist to shorten commutes and make dental visits more convenient.